Hi, I’m Patricia Demers, Welcome to my website! 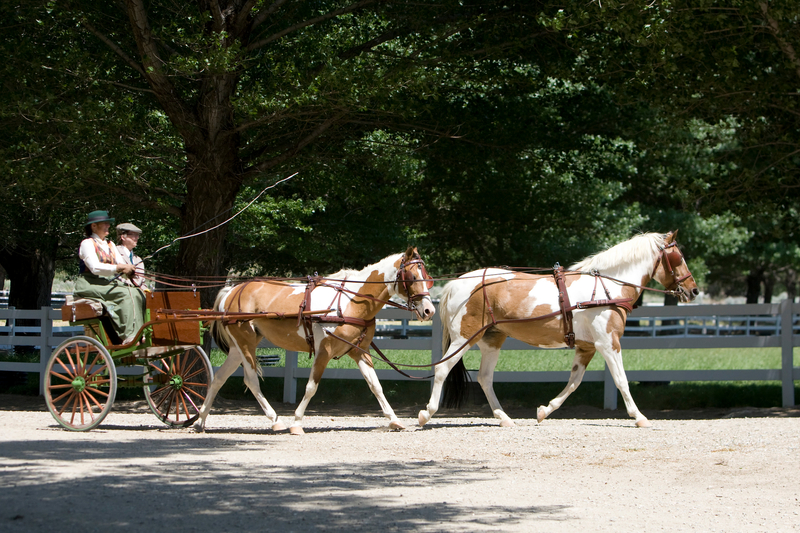 Carriage and Harness– evaluations, appraisal, help with purchasing. My philosophy in training is to incorporate ‘Natural Horsemanship’ methods which make a horse look forward to willingly working, and understanding his job, with gentle, quiet obedience. I work with minis to drafts, equines, mules and donkeys- Single, pairs, tandems, and more. Working with beginning drivers and timid riders is my specialty. I stress SAFETY and FUN. Here at Carpe Diem Farm, you get the trainer 100%, not an untrained, anonymous assistant. You are treated as a guest and friend. I expect you to be an active participant in your equines’ training process. If you are looking for a facility that offers plenty of room to drive and a quiet, family atmosphere, where FUN and SAFETY are stressed, here it is! My whole life has revolved around horses. I have an extensive background that is varied in experiences. Commercial carriage driver for 4 years in Old Town Pasadena, CA. Professional wagon driver for Knott’s Berry Farm amusement park. Supervisor for Alpha & Omega Mounted Patrol Services (4+ yrs), which included performing crowd control in Las Vegas for the Millennium Celebration. I’ve worked as a wrangler for a summer at McGee Creek pack station in the Sierra’s, and lead trail rides. 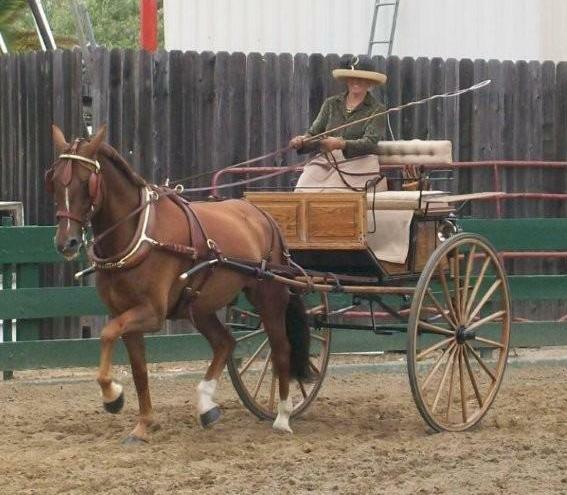 I have taught extension classes at Pierce College (Woodland Hills, CA) in carriage driving . I have been a featured speaker/ clinician at University of Calif. at Davis at the Donkey Welfare Symposium numerous times. I wrote a monthly column about driving in the Horse Trader magazine for 2 1/2 years. I have been training and showing driving horses for 28 years. I am continuously improving my own skills and education by attending numerous clinics and seminars every year. I grew up riding hunters both astride and side saddle (20+ years), then switched to driving. I’ve participated in fox hunting, trail trials, ridden dressage, sport horse in hand, wagon trains. I actively participate in showing with clients and my own equines in carriage and riding shows. I am a member of the American Mule Assoc. (AMA) where I am a carded judge in driving, American Driving Soc. (ADS), Carriage Association of Amer. (CAA), where I am a ‘board member at large’ and a member of the endowment committee. AZ driving and Carriage Soc, Saguaro State Shetland & Mini horse club ,where I volunteer my services for show organizing and course design, as well as many other positions. I participate in the CAA’s Driver Proficiency Program, where I have earned my Levels I, II, III and recognition as a Level II instructor. In April 2013, I earned my Evaluator for Level 2 status. I was an active member of local riding and driving clubs in California- Whip R Snapper driving society, ETI- equestrian trails inc. Where I was on the board for many years.